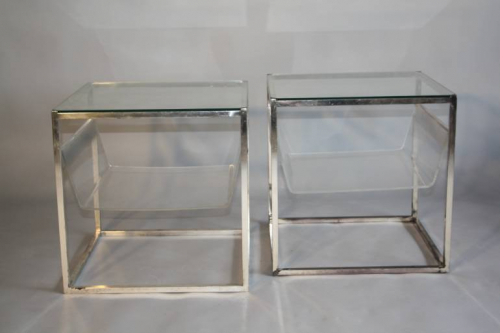 A very unusual pair of Collezione Sabattini side tables with fitted glass tops and a clear lucite shelf. The silver frame of one table shows age to the metal with loss in some areas giving it a darker grey rather than silver. Italian c1970.